Note: This card is no longer open to new applications. Information listed here is accurate as of Aug. 7, 2018. The Verdict: Although its unique name connotes youth and perhaps even fun, the Verve Credit Card, offered in collaboration by Mid-America Bank & Trust and Continental Finance, actually has the potential to combine the worst of both the secured- and unsecured-for-bad-credit worlds. You see, the Verve Card charges the burdensome fees for which “unsecured credit cards for people with bad credit” are known: $125 the first year and $216 each year thereafter. Yet it may require a security deposit of at least $50 and can be fully secured (which means your deposit and credit line would be equal). In other words, if you’re deemed not to be creditworthy enough, you may not receive any spending power without effectively prepaying for it. Even if Verve’s issuer grants you access to an unsecured credit line for financing emergency expenses (the most common impetus for opening a “bad credit” unsecured card), you will only have a maximum of $375 in spending power to work with. What’s more, any balance that you carry from month to month will accrue interest at a lofty 30.49% rate. A $375 balance repaid over a year’s time under such conditions would generate roughly $64 in interest charges. As a result, we recommend looking elsewhere regardless of whether you need an unsecured emergency loan or merely a means of rebuilding credit at the lowest possible cost. Below you can learn more about why that’s the case as well as which alternatives are best for each purpose. Potential For $375 In Initial Spending Power: In the best-case scenario, the Verve Credit Card would give you what amounts to a $375 short-term loan to start with. That’s based on the account’s $500 starting credit limit, which is effectively reduced by its $125 first-year annual fee. This could conceivably help you afford modest emergency expenses but won’t do too much good in relation to more significant obligations.You also have to consider the possibility that you will not be granted an unsecured credit line at all. Instead you’ll be required to place a refundable security deposit that will guarantee your full credit line, which you can learn more about below. $125 First-Year Annual Fee: The Verve Card does not charge an application processing fee, as do some of its fellow unattractive offers, but a hefty first-year membership fee does come due immediately upon account opening. Not only does this serve to diminish your initial spending power, but it also figures to exacerbate your current financial difficulties. For context, the average credit card’s annual fee is just $15.88. $216 In Subsequent-Year Fees: Things only get worse the longer you keep the Verve Card open. Its annual fee drops to $96 beginning in the second year, but a $10 monthly fee also takes effect at that time. As a result, you will have to pay $216 in cumulative fees from the second year on. 30.49% Regular APR: Credit cards in general are known for charging high interest rates relative to mortgages, auto loans and other borrowing vehicles. 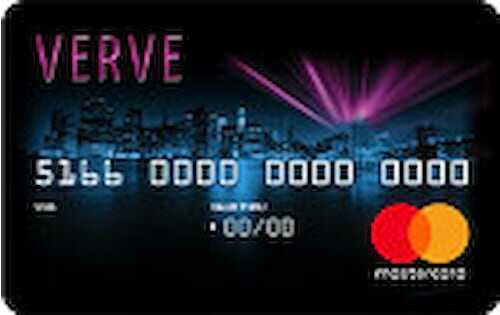 But the rates charged by cards such as Verve are stratospheric even by credit-card standards. The Verve Credit Card’s 30.49% APR is well above the market average for secured cards (19.17%) and credit cards for people with fair credit (22.41%), according to WalletHub’s latest Credit Card Landscape Report.You can use our Credit Card Payoff Calculator to see just how much the Verve Credit Card would cost you relative to other offers you may be considering. Potential For A $50+ Security Deposit: A refundable security deposit normally isn’t a negative, but that’s because security deposits typically preclude the need to charge high fees, shielding issuers from the risk of nonpayment. That isn’t always the case with the Verve Credit Card, however. The card has the potential to be completely unsecured, but you may instead be required to place a deposit of $50-$150 or $500 – the full amount of your credit line.You will be allowed to increase your deposit — and, in turn, your credit limit — to as much as $2,000 after at least 90 days and three on-time monthly payments. But the need to place a deposit at all when you’re paying through the nose for what you expect to be an emergency credit line is a major bummer. 5% Cash-Advance Fee: Some emergency expenses can be paid for only in cash, so it figures that some people in search of an unsecured offer wish to turn their credit line into hard currency. Doing so will really cost you, though. The Verve Card charges a fee of 5% of the amount withdrawn or $5, whichever is higher, and the high 30.49% cash-advance APR immediately begins to accrue on any withdrawal. That’s well above the 21.02% cash-advance rate levied by the average credit card, which is saying a lot in an environment where cash-advance costs have been consistently rising.Those are the card’s normal cash-advance terms. Interestingly, however, cash-advance fees will not be assessed for the first 12 months your account is open, with the caveat that cash advances aren’t allowed altogether for the first 95 days. You’ll still have expensive interest to contend with during the resulting window, but strategic planning could nevertheless help you save some money. 3% Foreign Transaction Fee: You don’t have to worry about this fee for the first 12 months your account is open, but thereafter you will get hit with a 3% surcharge on any purchase processed outside the U.S.
No Smart Chip: The credit-card industry is in the process of replacing old magnetic-stripe cards with new chip-based versions, which are better equipped to prevent fraud. But the Verve Card doesn’t seem to be participating — not yet at least. This shouldn’t end up costing you anything beyond time and hassle as all credit cards provide $0 liability guarantees for unauthorized transactions. But time is a valuable commodity, and no one needs added stress.